Our product range includes a wide range of wall hanging and handmade door and window hangings. 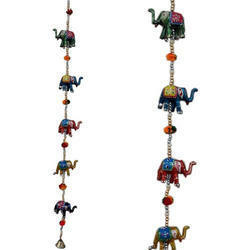 Enriched with vast industrial experience, we have been able to offer a broad range of Wall Hanging. 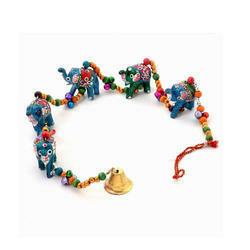 The given product is widely used as a decorative item and is also ideal for gifting purposes. It is reckoned in the market for its exquisite look, smooth finish, fine texture, and high aesthetic appeal. These are sure to accentuate the look of the place where they are kept. Furthermore, clients can avail these from us at affordable rates. Since the inception of our company, we are engaged in providing a comprehensive array of Handmade Door and Window Hangings. Ideal for the purpose of decoration and gifting, this product is acclaimed by patrons for their appealing look, durability, and sophisticated designs. Our skilled and talented craftsmen make use of quality approved material to design these products to meet the requirements of clients. In addition, we provide these at pocket-friendly rates.